Israelis protest Airbnb decision to drop Jewish homes in Judea and Samaria. Tourism Minister Yariv Levin demanded that the management of the Airbnb accomodations site cancel its decision to remove apartments in the Jewish communities of Judea and Samaria from the site. Levin said: "This is a disgraceful and miserable decision and a disgraceful surrender by the company." He instructed his ministry staff to formulate immediate measures to limit the company's activity throughout the country and instructed ministry management to implement a special program to encourage tourism and accommodation in vacation apartments throughout Judea and Samaria. Strategic Affairs Minister Gilad Erdan also condemned to decision to boycott Jewish residents of Judea and Samaria. "This is an unfortunate decision that constitutes submission to the anti-Semitic BDS organizations and is based on political considerations rather than business considerations," said Erdan. "The boycott organizations do not distinguish between the entire territory of the state and Judea and Samaria. As far as they are concerned, the entire State of Israel has no right to exist as a Jewish state. The heads of Airbnb will have to explain why they chose to take a racist political stance against some of Israel's citizens." Erdan also called on apartment owners who were hurt by the site's decision to step forward. "I call on the property owners affected by the decision to examine the filing of claims against Airbnb in accordance with the law to prevent harm to the State of Israel through a boycott, and I intend to contact the most senior political officials in the United States to examine whether this decision violates legislation against boycotts in more than 25 states in the United States" . Social Equality Minister Gila Gamliel called the move "a hypocritical decision by a company that operates in the darkest dictatorships in the world and preaches morality to us." International Law Professor Eugene Kontorovich noted that Airbnb continues to list properties in other occupied and disputed territories. This is not about disputed territories, as AirBnB has listings in Moroccan-occupied Western Sahara, Turkish-occupied Cyprus, and more. So it is only Jewish properties in the Jewish homeland that are banned. AirBNB's approach of singling out Jews from all the disputes in the world will put it at adds with U.S. state BDS laws, and principles of discrimination. 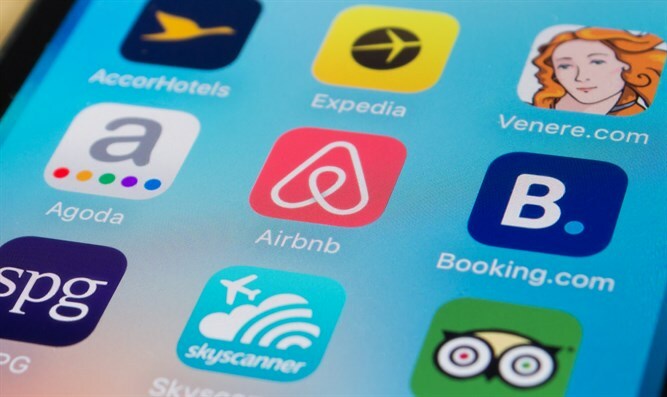 AirBNB's action also shows the danger of the UNHRC's "blacklist" of Israel-related companies, which AirBNB was bullied by the United Human Rights Council." Efrat Council head Oded Revivi called the move a blow to peace and reconciliation efforts. "It is disappointing to see that because of extreme pressure, the site surrenders and damages the essence of its existence and uniqueness. The advantage of the site was the ability to bring people together, to cause conversation and [raise] questions and not only to make money. The decision does an injustice to the settlers, constitutes submission to extremists and will turn out to be a mistake and distancing peace," Revivi said.